FEE: The fee varies upon the items purchased. Mary’s Food & Fashion is a small place with a big heart. They provide hot meals for select seniors 3 days a week. That is not all Mary’s Food and Fashion does for the community. 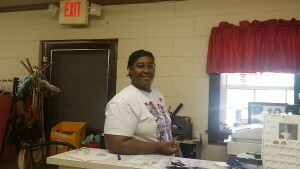 She supplies clothes at affordable prices and serves a wide variety of healthy meals 4 days a week to the community. Mary’s plays a big part in this community and is also located right beside the Pineapple Rural Health Center.